Find out how they make their bed every night. 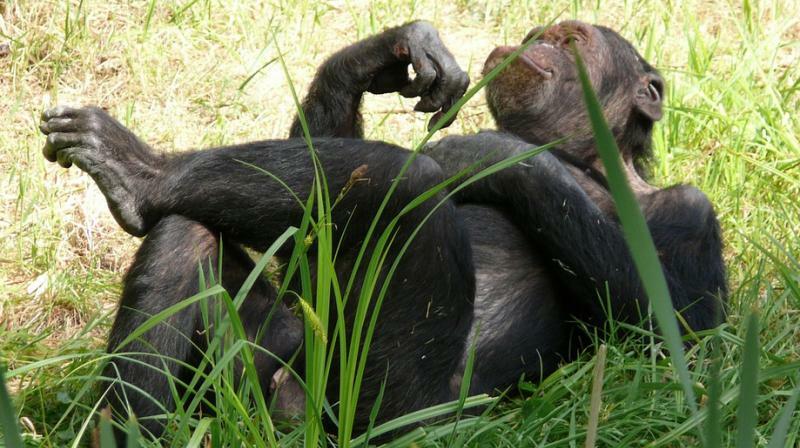 A new study has found that when it comes to a clean bed, a chimpanzee's is cleaner than a teenager's, The Sun reported. Swabs from 41 nests in Tanzania were collected for analysis. While the team did expect to find a range of bugs given that they live in the African jungles, they found far less bacteria from the apes in their nests, when compared to humans. "We found almost none of those microbes in the chimpanzee nests, which was a little surprising," lead author of the study Megan Thoemmes, a PhD student at North Carolina State University, is quoted as saying by The Sun. Adding, "We wanted to know how this compares with some of our closest evolutionary relatives, the chimpanzees, which make their own beds daily." This is because they build their tree nests from fresh leaves and branches every single night. They also contain less "dirty" bacteria than shed by humans, the report revealed. A human bed contains 35% of bacteria from our own bodies. Thoemmes believes the find sheds light on the impact man-made structures have in shaping the ecosystems of our immediate surroundings. "In some ways, our attempts to create a clean environment for ourselves may actually make our surroundings less ideal," Thoemmes said.